Our events run smoothly because of the help of dozens of volunteers. Want to be a part of the fun, but aren’t competing on a company team? Sign up here to volunteer. The volunteer roles range from managing the registration station, reffing a sport, assisting with the food preparation, running a stop watch to helping setup and take down event equipment. 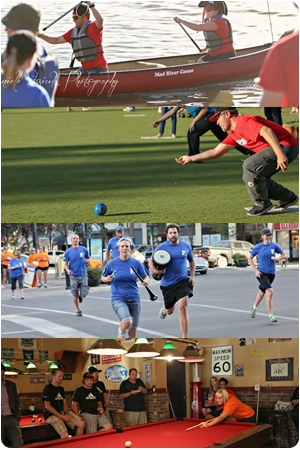 All volunteers will receive a complimentary Saskatoon Corporate Challenge t-shirt, a ticket to the Finale Party on September 14th as well as food and beverages that night. The 2018 Volunteer Schedule will be posted soon!